The purpose of this web site is to bring a greater awareness as to the existence of these fascinating vehicles of the past, to show the many different varieties of designs and types that were in general use right up to the 1920s. There were vehicles for every conceivable purpose, commercial vehicles, public transport vehicles - omnibuses, charabancs, coaches and hackney carriages. Vehicles that helped forge the birth of a nation, like the Conestoga Waggon and the Prairie Schooner that formed the "Wagon Trains" that took countless thousands of pioneers across the barren plains of the United States to reach the new lands of California and Oregon. 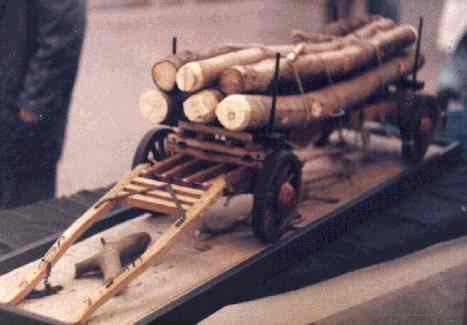 The magnificent and beautifully crafted Farm waggons and carts made by wheelwrights in country workshops are fascinating subjects in there own right. The elaborate chamfering and decorative yet functional ironwork on some of these vehicles is quite amazing. 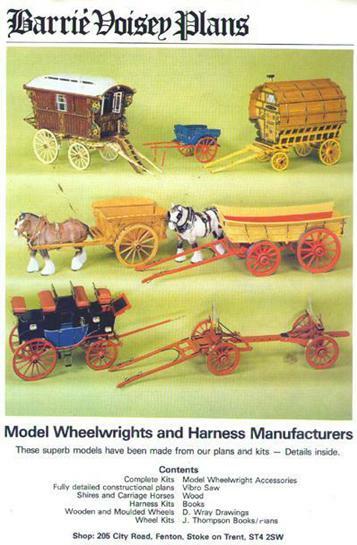 The great choice of variety in these waggons and carts would provide a lifetimes work for any modelmaker. Then there are Horse Drawn Ploughs, Woodland Vehicles, and what I think is the most beautifully ornate of any Horse Drawn Vehicle - the Ledge Caravan. The skills that are required by the modelmaker include woodworking, metalworking, carving, upholstery and painting. The making of a farm waggon can take over 100 hours, a Ledge caravan or omnibus may require several hundred hours. 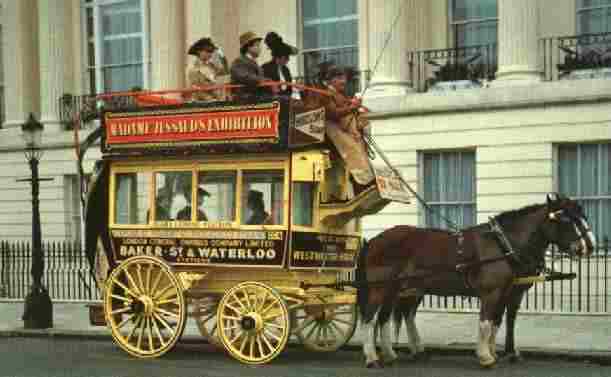 If the model is built to a very high museum standard, the price a collector would be expected to pay for the farm waggon would be approaching £500 pounds, ($900) and that of the Ledge caravan or omnibus may fetch over £2,500 pounds, ($4,000). Whilst many of these vehicles are preserved in museums, many others are not, and it is only through the dedication, research and love of the subject by a small number of people, that the history and preservation of these remarkable vehicles have not been lost, forever. I was introduced to SMHDV quite by accident. 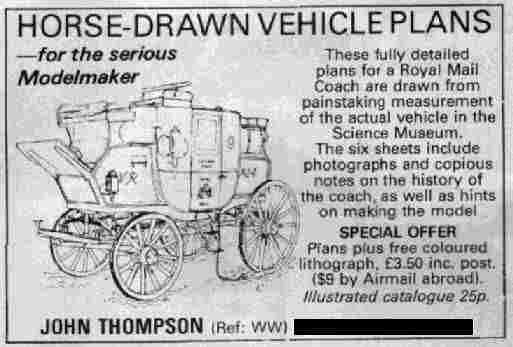 In 1978 I was looking through a magazine in a doctor's surgery, and came across a small advertisement showing a fine line drawing of a Royal Mail Coach and the offer of an illustrated catalogue for 25p. (See left). I sent for the catalogue, and just could not resist ordering several plans straight away; I now have over 30 plans/drawings, a number of finished models, and others yet to be completed. Over the past 27 years I have derived great pleasure in constructing these models, each waggon, cart or carriage has its own distinctive personality. Through these pages I hope to show some of the plans that are available from various sources. I would like to see this site develop into one that model makers and enthusiast can be part of, e-mail your questions, your ideas, and your comments. Brows through the various pages, you will see what I am trying to create. There are many great models to be seen in the “Model Gallery”. The "Tips and Ideas" page is worth visiting, as there are a number of tutorials compiled by master model makers that will be of great benefit to not only the novice but also the experienced model maker. DAVID WRAY Click here for David Wray plans. The descriptions, and the detailed line drawings, have been taken from a twelve page descriptive catalogue, ("THE DAVID WRAY COLLECTION OF MEASURED DRAWINGS"), that was issued about 1978. The catalogue has been long out of print and is no longer available, but the detailed and accurate drawings are still available, many of them are of vehicles unrecorded and not preserved in museums. I bought many drawings from this catalogue. (Do click on the link of Pitstone Windmill in the Other Sources page - buy the plans - you may never make the model, but you will spend many delightful hours just looking at the drawings) (Look also at the "Barron" Tree Transplanter - a most unusual vehicle, and one I now have a picture of look in the Model Gallery). In 1975 John Thompson of Fleet Hampshire issued his first list of farm waggon plans. For many years John added to this list, not only farm waggons, but also Commercial Vehicles, like the "Brooke Bond" London Van and the Garden Seat Omnibus. American vehicles like The Cowboy "Chuck Waggon'' and The Fringed Top Surrey and many others. Eventually that list was over 100, with detailed scale plans for each of them. Sadly, in February 1995 John died suddenly, and his "Model Wheelwright" business ceased trading. Fortunately, most of John Thompson's plans are still available from a number of sources. There is a very comprehensive catalogue, "The Carriage and Waggon Handbook", that includes a number of very good books, and a list of over 100 plans of Horse Drawn Vehicles, most still available. The Drawings: The majority of the standard and small sheets are printed by offset-litho, and are completely permanent. 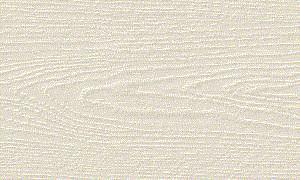 A few have been reproduced in colour, and make attractive wall decorations. Most of the large sheets are dyeline prints - this is the usual process in drawing offices, and gives a clear black line on white paper. These prints are not suitable for wall decorations, because the lines eventually fade in direct sunlight. However, in normal use they are quite permanent. The drawing to the right is sheet 3 of 4 standard sheets, (23'' x 16'' in 1/8th scale), of the Oxfordshire Waggon, and shows front and rear elevation, and detail of the wooden axles and straked wheels. BARRIE VOISEY Click here for Barrie Voisey plans. It was around Christmas 1971 that Barrie Voisey, who at that time was a communications/ intelligence operative for the GCHQ station a t Cheadle, Staffs, saw a model cart and a shire horse with harness in the window of a local furniture shop. After looking at the cart model Barrie realised he could much improve the design and finish, and consequently set about making these carts along with a much improved quality harness to go on the Beswick 818 shire horse, and offer these for sale! He drew up a set of plans/ drawings of the Model Farm Tip Cart. 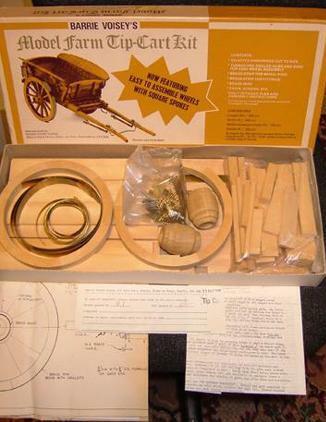 The boxed kit is shown to the right, and included all the parts needed to make this model. These he advertised in Exchange and Mart, and posted copies off to model makers all around the country. Hobbies in London also sold his plans in their catalogue. (As they still do today!) Eventually, he was earning more by producing the plans and harnesses than he was in his "day job", so he took the plunge and went self employed, and started the firm of Barrie Voisey Plans. The harness side of the business expanded , and eventually became the largest manufacturer in the country. The business employed about 12 women and outworkers making and fitting the harnesses to the range of Beswick shire horses, which incidentally still fetch quite a high price on E-bay! Scale Horse Brasses were always a problem; most firms used cut-down small buckles or brass paper fasteners. Barrie realised that brass sheet could be photo chemically etched, similar to printed circuit boards, so he approached a local company who did the process. The success of these led to many of the kits using brass etched parts. To avoid the parts tarnishing, the brass etched sheets were taken to a firm in Birmingham to get them Gold Plated! However, with the onset of the economic recession in the early/mid 1980s the business scaled down and eventually closed. No more kits were produced and Barrie Voisey made a number of career changes over the coming years and moved on to other things. Shown left is the front page of a 16 page catalogue produced by Barrie Voisey which contained a huge choice of materials, accessories, kits, timber and metal section etc. The catalogue also listed the plans of David Wray and John Thompson. At the time, it was probably the most comprehensive catalogue the Scale Model Horse Drawn Vehicle enthusiast could get. I am grateful to Barrie Voisey and his sons Keith and Chris for providing me with the information and access to material in their possession to be included on this web site. IVAN COLLINS Click here for Ivan Collins plans. Ivan Collins, an Oregon genius, researched, planned, and built 62 of the most accurate, meticulous, and beautiful model horse-drawn vehicles to be found anywhere. Collins focused his considerable artistry on 1/8th scale vehicles that helped to settle the western United States. 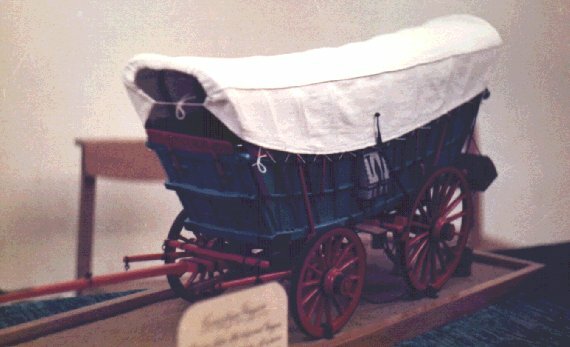 Collins's Brougham, Concord coach, Albany sleigh, phaeton, omnibus, Victoria, medicine wagon, and other models have enchanted visitors to the exhibit of his models at the Oregon Historical Society in Portland for over three decades. 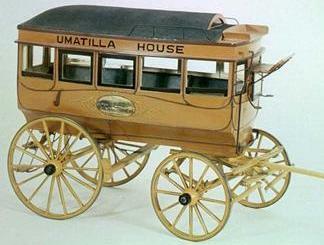 The picture to the right is Collins's 1/8th scale model of the Umatilla House Hotel Omnibus. In the late 19th century the Umatilla House was a famous hotel in the in the Dalles, Oregon. Nationally known for its architectural charm, lavish furnishing and fixtures and warm and gracious hospitality. This stately property was considered to be the finest hotel west of Chicago and north of San Francisco. In 1941 Collins discovered this bus in the shed near the Fort Dalles Surgeons Quarters in The Dalles. With his father, he returned to take measurements the following year and completed the model in 1943. 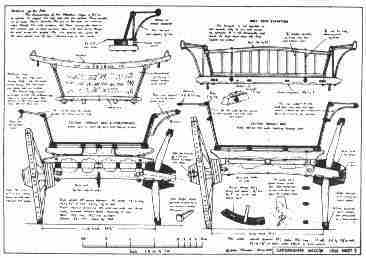 With over 100 drawings and photographs, most with descriptive and historical information, this is probably the most comprehensive site on the internet on the subject of Scale Model Horse Drawn Vehicles. 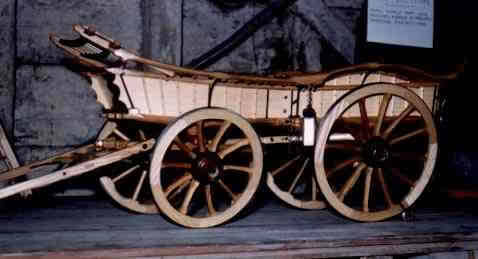 Please use the contact form below if you have any questions or comments relating to the contents of any of the pages on this website; and/or if you have questions or comments about any aspect of horse drawn vehicles - the making and construction of scale models, the history, whereabouts etc. The inclusion of the verification number is to prevent spam bots from sending and filling up my in-box with junk mail. I will try to reply to your message/query as soon as possible.